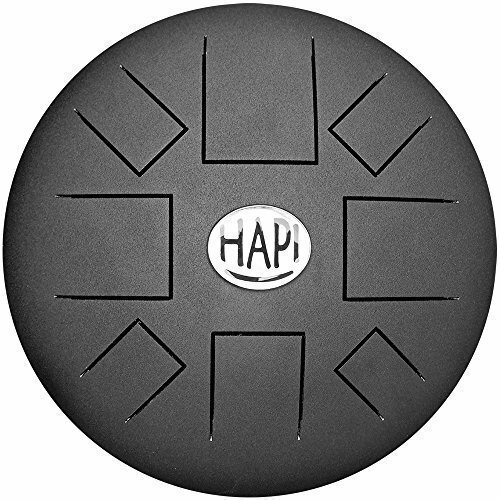 HAPI stands for Hand Activated Percussion Instrument. 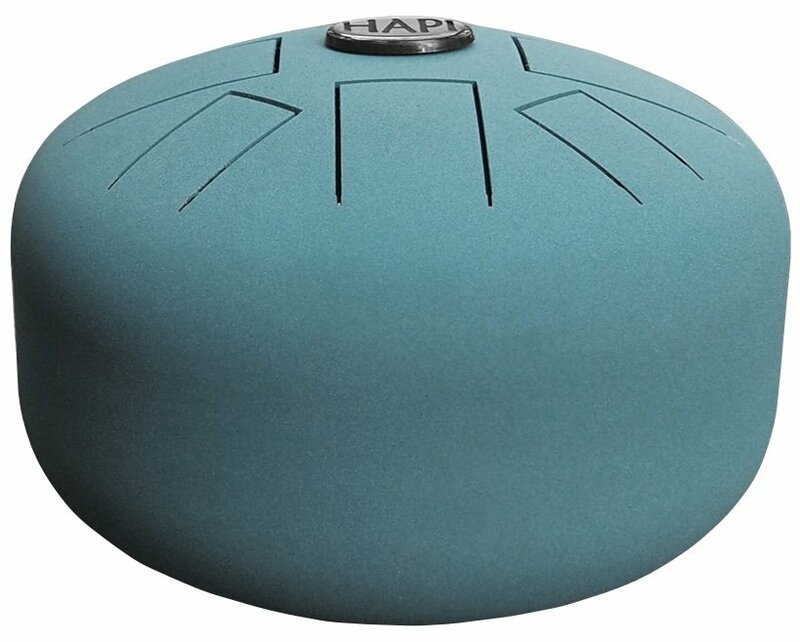 The most popular model of the Hapi is the Mini Drum. It's the best seller on Amazon in its category and for good reason. The Mini Drum will be the main focus of this guide as it is the most affordable and clearly the most popular choice. 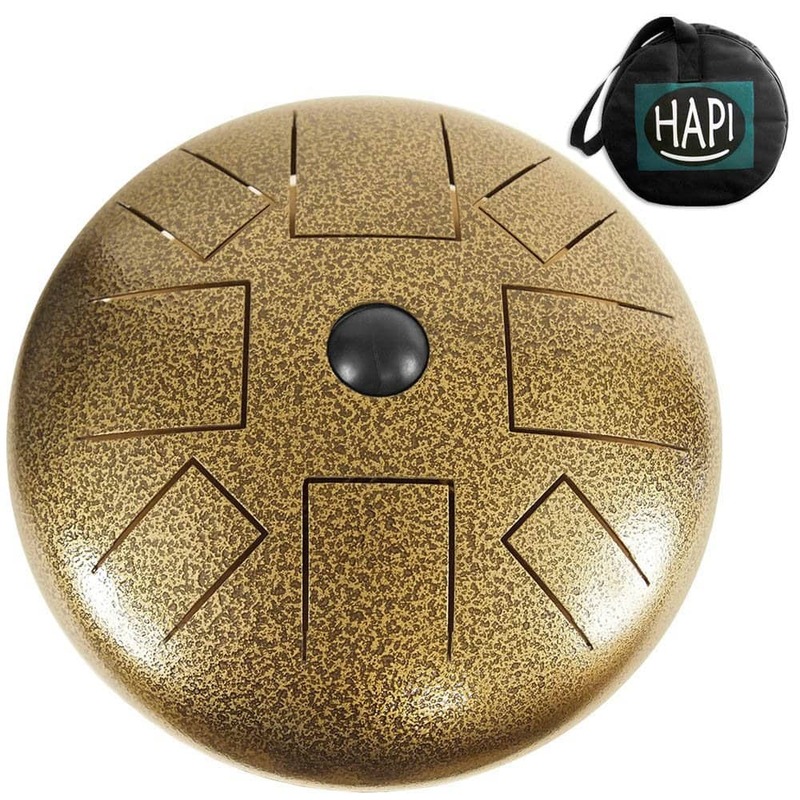 With that said, the HAPI crew also make several other models of the drum and also have their own Hang inspired instrument. 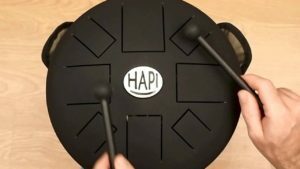 HAPI Drums are a fantastic alternative to the Hang and other Handpans. 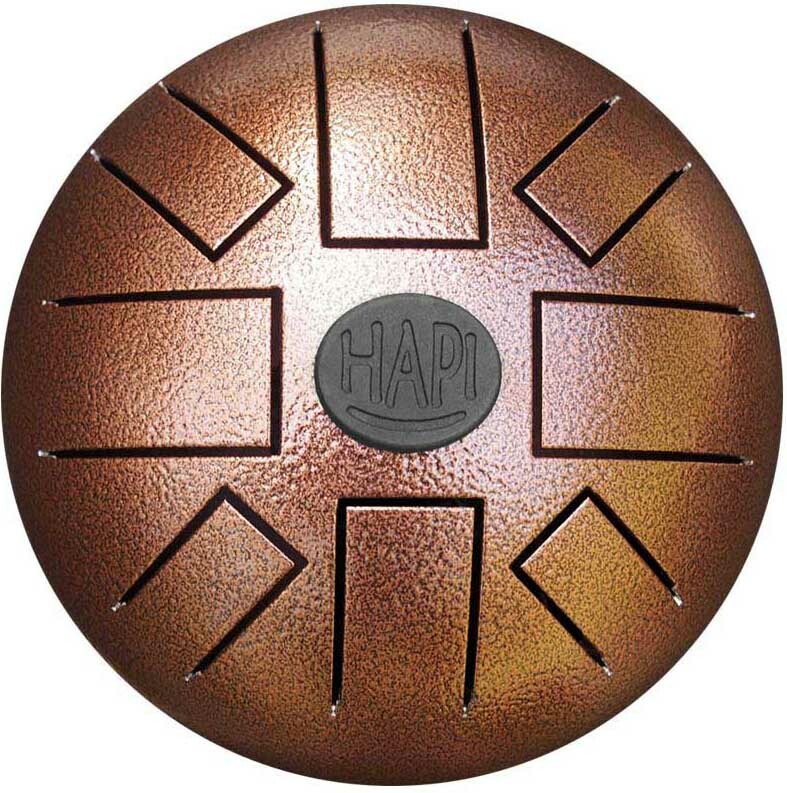 The main thing that the HAPI has going for it is the drastically cheaper price tag ($$$). It's a far cheaper option if you don't have thousands of dollars laying around for your next musical instrument. The other advantage over your typical hand pan is that it comes in a variety of models. Is the HAPI Mini Drum easy to play? Tl;dr: Yes. And it includes mallets (they're sort of like drum sticks) to make it even easier to play. 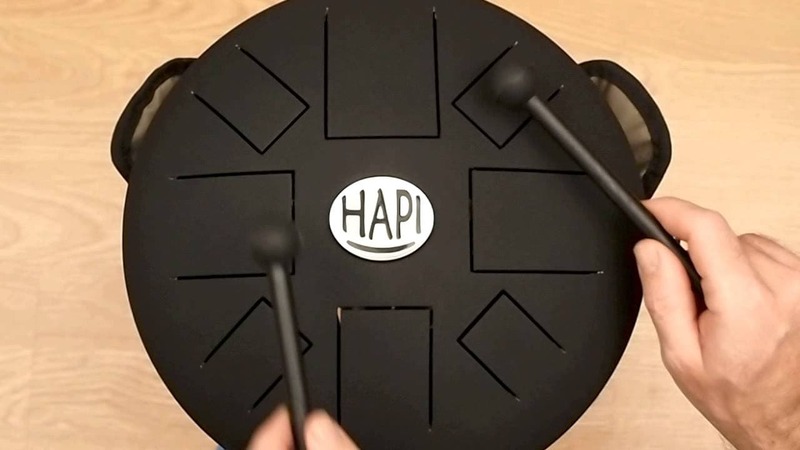 Because of the note layout on the HAPI, it is very easy to create your own little melodies and hop into a rhythm while playing. That's to be said for all types of steel tongue drums and handpans. You will quickly develop your own playing style after spending some time with the instrument. It must be said that playing with your hands, not just on the HAPI, but generally any tongue drum can require a little bit more skill to play compared to your typical handpan. You also must know that playing with your hands possibly won't be as loud as a hand pan because there's a bit of finesse to it. The instrument comes with mallets for this reason 🙂 But with that said and out of the way, it is still a very nice sounding instrument for the money. Although playing it with your hands may seem a little daunting now, it isn't hard to pick up the proper method of playing with your hands. And here is another guide with videos on how to play. Headphones or good speakers are recommended for the videos below so you can properly hear. My laptop speakers certainly don't do the drum any justice. 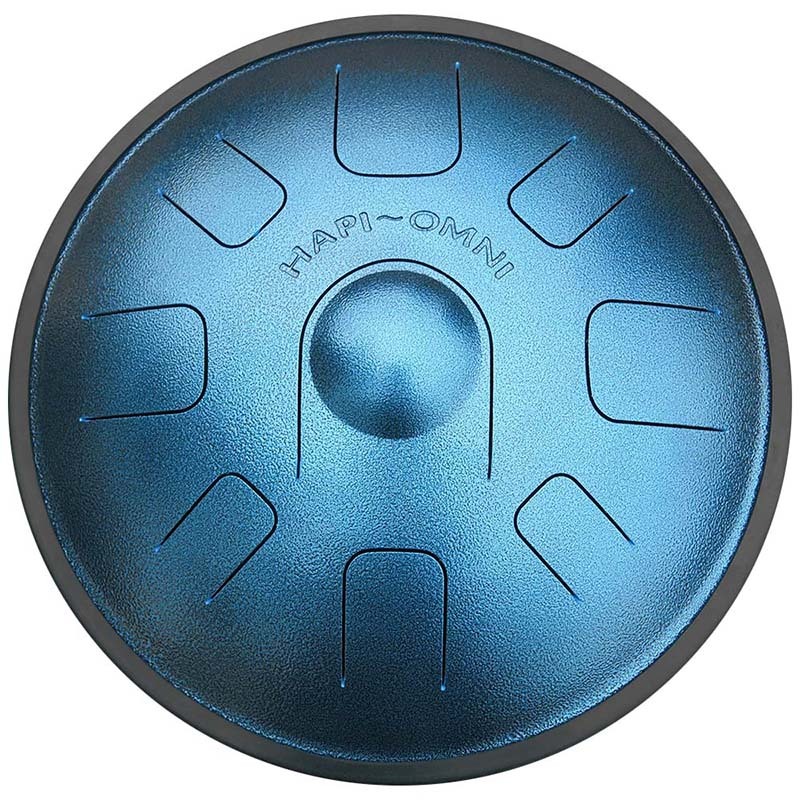 As I mentioned earlier, the HAPI Mini Drum is the best seller in its category on Amazon. It's popular because it's affordable, a convenient size and has a surprisingly large sound for such a small instrument. 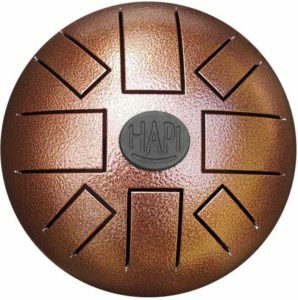 The Hapi Bell is one of the less available products from the HAPI family. It's currently out of stock on the manufacturers website and isn't currently available on Amazon. The Slim Drum is available in the following pentatonic scales; C Major, A Minor, A Akebono, G Minor and G Major. Click each different scale to hear a video demo of the tuning. The Origin Drum has a far deeper, meditative sound. It comes in 6 different pentatonic scales. E Minor, E Major, E Akebono, D Minor, D Major and D Akebono - Click each different scale to hear a video demo. The Omni Drum is by far my favorite of their tongue drum type instruments. The Omni is larger and shaped differently to the others. If you're willing to pay a little more, the Omni is a fantastic choice.